Last week the (soon to be) father-in-law popped down for a bit of beer and rugby, and we were happy to oblige. 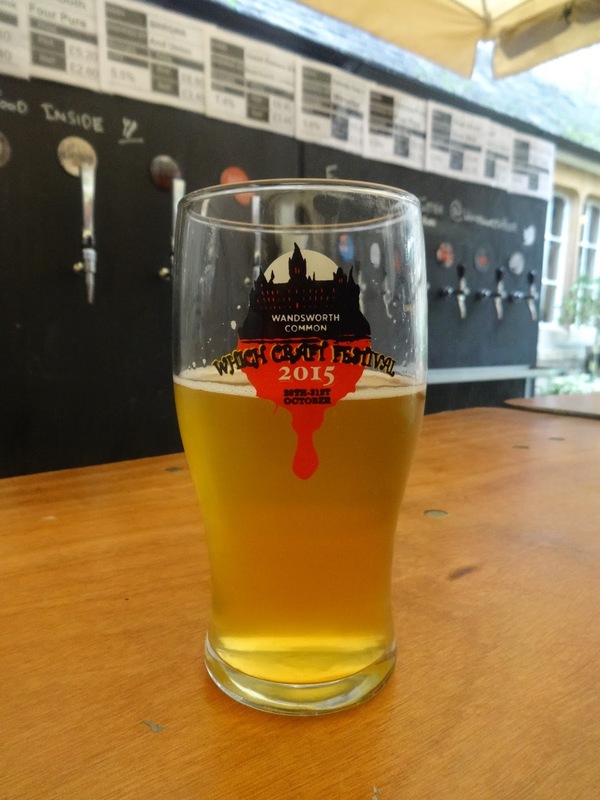 Now brace yourselves for this next bit: he had never been to a beer festival in the UK before. 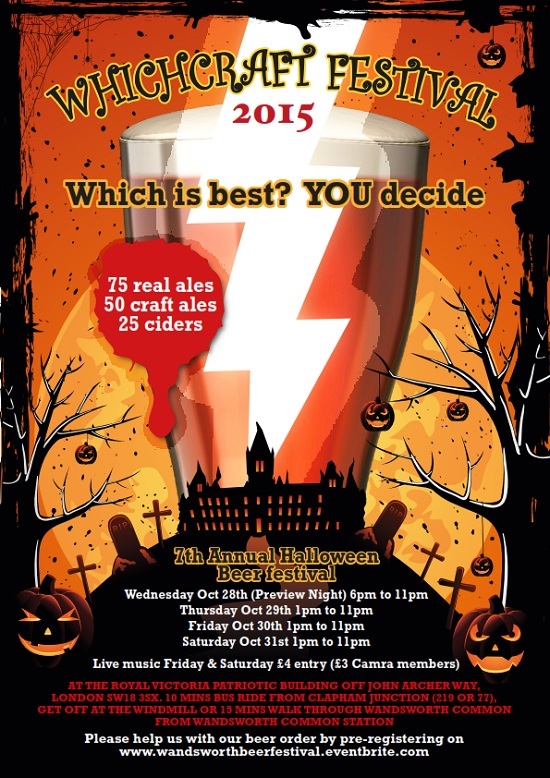 Oh he’s done his share of drinking, but an actual festival with a little programme and lots of beers to choose from? No. Well we had to rectify that and, as per, CAMRA was there to assist with the WhichCraft (see what they did there) Festival in Wandsworth. I’d heard a lot of good things about this festival so I’m not going to pretend this was an act of altruism. Also the poster was intriguing: real ales AND craft ales? Wouldn’t CAMRA members say these were one and the same? There was only one way to find out. 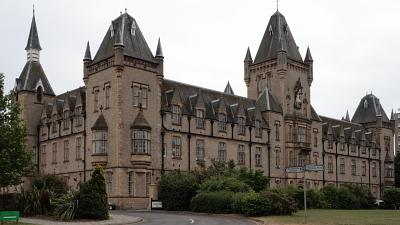 WhichCraft Festival was held at the beautiful Le Gothique, or The Royal Victoria Patriotic Building, just on the outskirts of Wandsworth Common. 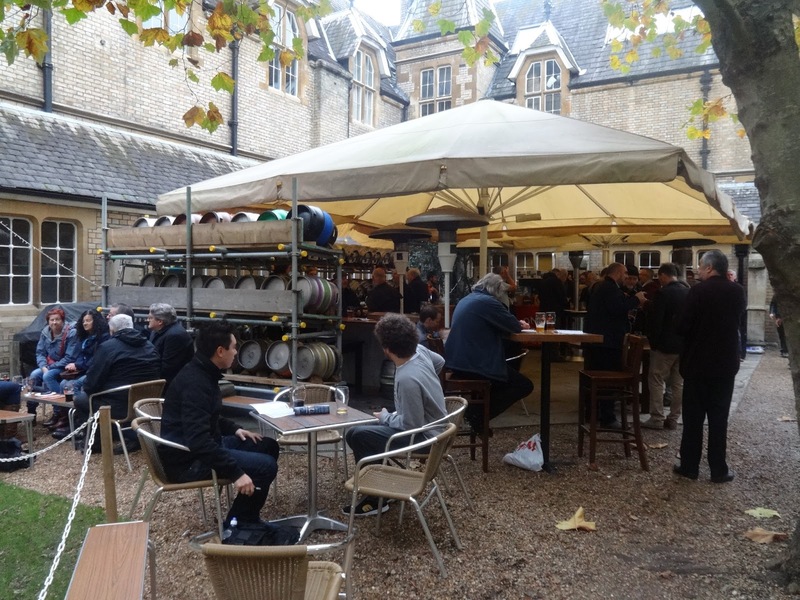 As beer festival venues go it’s pretty special and worth a visit anyway (they also have an excellent wedding package if you’re interested- sorry, weddings on the brain- back to the beer). Almost all casks were available, which was great and unusual in my experience. 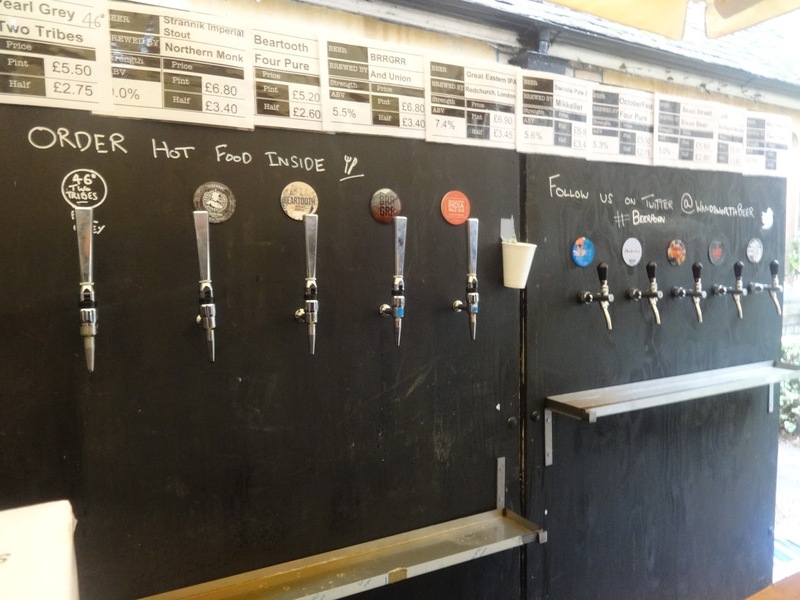 There were a few omissions including the Fuller’s 1845 and London Porter, which certainly would have been on my list to try, but through no fault of the organisers. With far too many tempting brews, I decided to bite the bullet and dive straight in to what has now been deemed The Best Decision I Have Ever Made In My Life (At A Beer Festival 2015). My first pick was Nitro Coffee Milk Stout (6.5%) by Two Tribes. Now, I know you’re thinking something along the lines of ‘what on earth was she thinking starting with a 6.5%?’ Admittedly, I did think that myself, but as soon as I tasted this I did wonder if anything else would come close. With a strong aroma of roasted coffee beans and vanilla, the taste was was of the same with hints of brown sugar and cream. Very drinkable for the ABV, I think I could have stayed on this all night. You’ll have noticed there isn’t a photo of this one- I drank it too quickly. Simply magnificent. After that I just had to go back and see what else Two Tribes had to offer. The City Lights Pearl Grey Pale (5%) with its promise of infused earl grey and wild Atlantic sea vegetables was just too interesting to resist so I went for a half. Well, this was right up my street. I am often wary of an earl grey infused beer as the tea is either too diluted or overpowering, but Two Tribes seemed to have perfected the balance. Drinking this beer was an absolute delight; fruity, refreshing, a little saison-like, but sea vegetables? I’m not sure (could be a good thing). Now, I’m going to cut this short. Why? Because the two Two Tribes beers I supped at WhichCraft were far and away the two best beers of the festival (that I tried- couldn’t try them all, sorry!) and I’m not sure it’s fair to review the others which were perfectly fine, but didn’t blow me away. I am honestly so excited by this brewery, I can’t wait to find out more about them. Definitely returning next year for another amazing discovery (and a bit of London Porter).